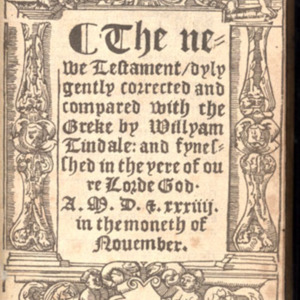 The Newe Testament, Dylygently Corrected and Compared with the Greke by Willyam Tindale. [Antwerp: By Marten Emperowr, 1534]. 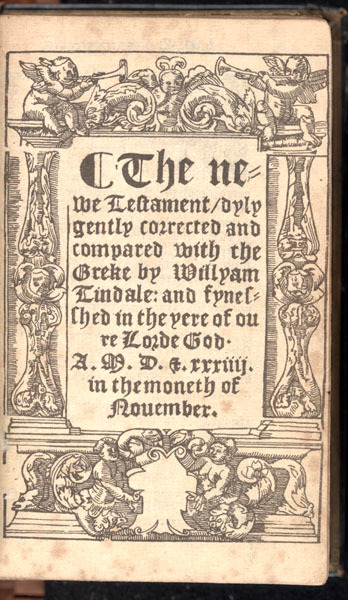 “Newe Testament,” University of Virginia Library Online Exhibits, accessed April 23, 2019, https://explore.lib.virginia.edu/items/show/592.